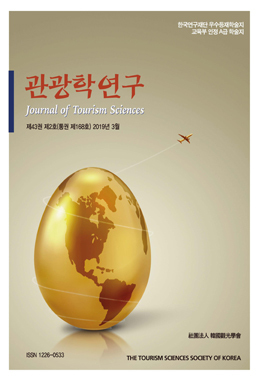 This study aims to analyse the main outcomes and limitations of the Korean Wave (Hanryu) related tourism generated by both private and public sectors. The results of interviews are consistent with prior research indicating that Hanryu tourism has contributed to the growth and diversification of inbound tourism market, opportunities to develop high value-added tourism products, motivation for visitiation to rural areas, and overcoming a low-demand season in winter. However, this research also pointed out some challenges for, namely of the absence of a middle and long term plan for an inbound tourism policy, lack of tourism programs and facilities to genuinely experience Hanryu, and overcoming short stay/experience of Hanryu tourism products. From the findings, the following five key suggestions are proposed to promote inbound tourism utilizing the Sin-Hanryu (Neo-Korean Wave) led by K-pop: 1) differentiating tourism marketing by target regions/countries; 2) corresponding to the characteristics and demands of the Hanryu consumers; 3) developing high value-added tourism products utilizing the Hanryu; 4) promoting the Hanryu tourism by use of new media like SNS; and 5) organizing a private-public and a domestic-overseas partnership system for Hanryu tourism.